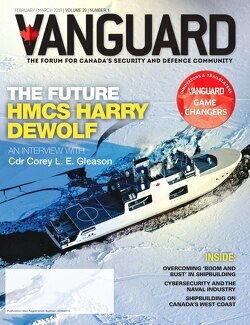 When Mike Greenley, the vice president and general manager of CAE Canada, met with defence media prior to CANSEC in late May, he described a company goal of being “the training partner of choice,” rather than just a supplier of simulators and training systems. At the Paris Air Show on Tuesday, the Montreal-based company continued to take strides in that direction, announcing a contract with the Italian Directorate for Air Armaments and Airworthiness (DAAA) to develop and enhance a mission training simulator already on order for the Predator Unmanned Aerial System. With a growing demand for trained pilots and sensor crews to operate unmanned systems, the Italian Air Force is seeking to establish a centre of excellence for the Predator and other UAS, hoping to capitalize on a burgeoning European market for the specialized training. It’s an approach that fits CAE’s larger objective. Together with the aircraft’s manufacturer, General Atomics Aeronautical Systems, CAE will develop a high fidelity UAS mission trainer specifically for Italy’s Predator(R) A and Predator B/MQ-9. CAE said it will conduct flight test data gathering on actual Italian Air Force Predator aircraft to ensure the highest fidelity simulation of flight systems and sensor payloads. The high-fidelity Predator UAS Mission Trainer will be delivered in 2017 to Amendola Air Force Base. Gene Colabatistto, president of CAE’s defence and security group, said the “simulation-based training continues to demonstrate its proven capability as a safe and cost-effective solution for maintaining and enhancing mission readiness” for both manned and unmanned systems. Added Frank Pace, president of GA-ASI: “This simulator will help to reduce the training load on Italy’s Predator fleet significantly, freeing those aircraft for increased participation in civil and military operations worldwide.